A self-confessed Noisician, Paula Temple obliterated 2014 with ‘Deathvox’, her second monumental release for the legendary label R&S. Her debut ‘Colonized’ EP made one of biggest statements in 2013 for uncompromising techno, followed by remixes for avantelectronic acts The Knife, Perera Elsewhere and Planningtorock. Such refreshing highvoltage output has rapidly placed Paula Temple at the forefront of new techno. Previously she released ‘Speck of The Future’ appearing on Jeff Mill’s ‘Exhibitionist’ album and techno vanguard Chris McCormack’s Materials label. 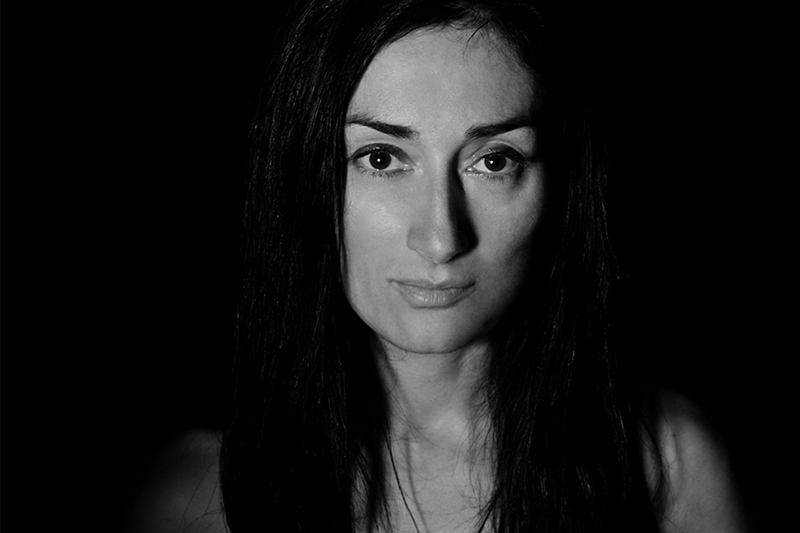 In her early days, Paula Temple co-developed the innovative live performance midi controller MXF8, one of the first of its kind, which she took on the ‘Mind and Machine’ tour for three years. Her HYBRID live/dj sets have become a sensation in such scene bastions as Tresor, Berghain and I Love Techno. Her first full live AV show NONAGON with Jem The Misfit, set in 9 parts, was premiered at ADE 2014 receiving high acclaim. 2015 has already witnessed stellar performances at BLOC, Kozzmozz and London’s Convergence Festival, with a forthcoming mini tour of USA including two dates at Movement Detroit. A double remix for Fink has yet again demonstrated why Paula Temple is much sought after for remix productions. For her record label Noise Manifesto she has just launched a very special and unique collaboration series called Decon/Recon with select showcase events only. Her third release for R&S Records is currently in production at the studio, plus a split release for a Berlin based label to be revealed later this year.